In which G.M. 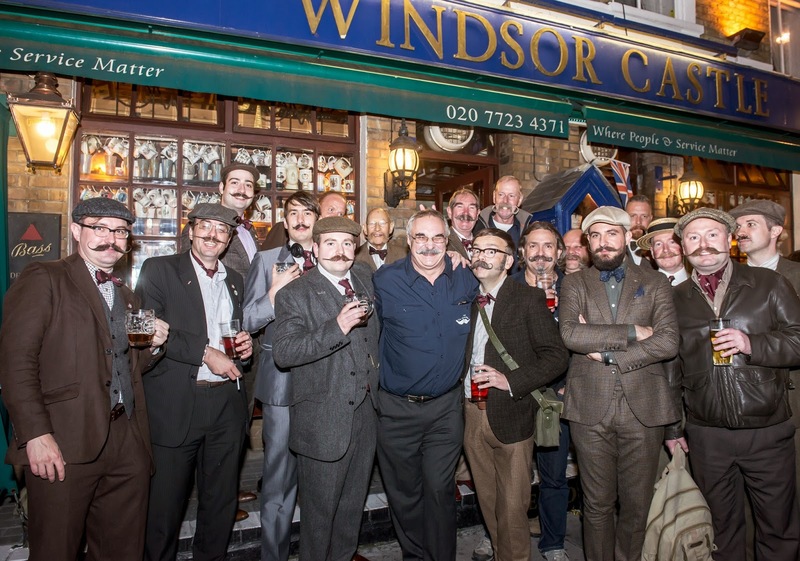 Norton dashes to London for a meeting of moustaches. 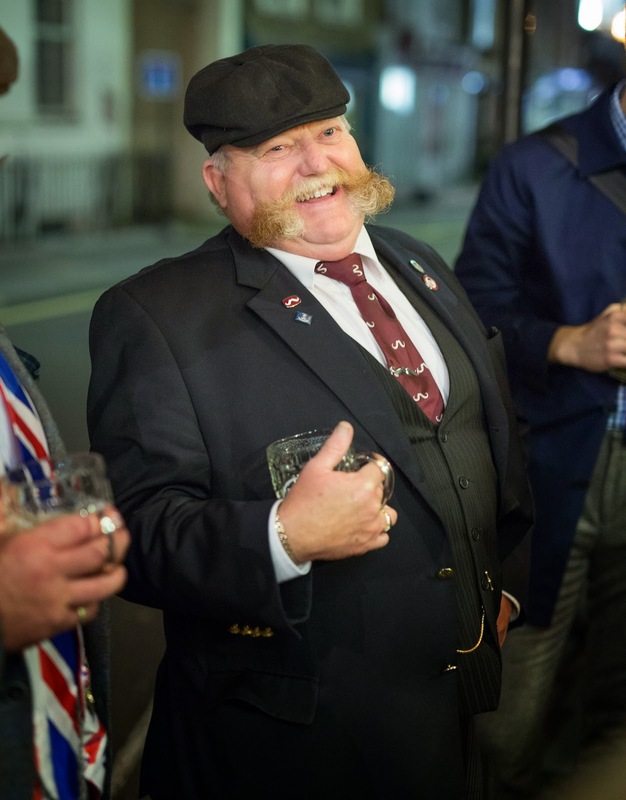 The Handlebar Club was formed in 1947 by Jimmy Edwards. It is a thoroughly decent Club to be a member of. 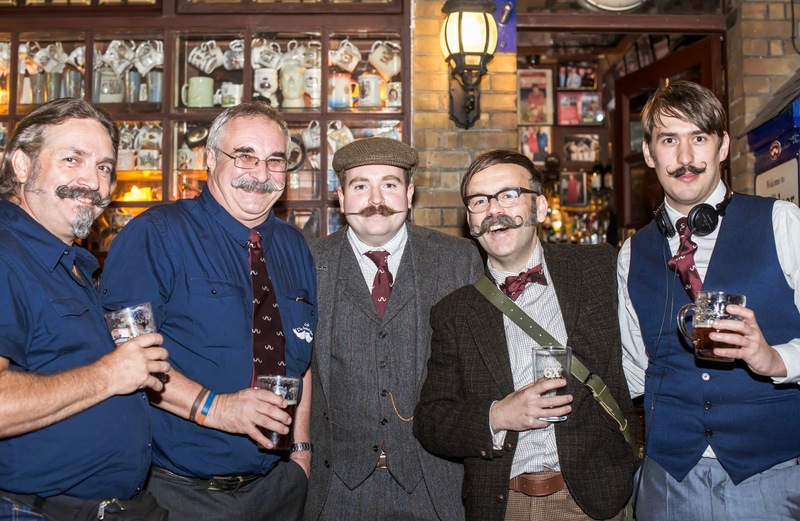 The moustachioed men that the Club comprises of are a delightful bunch of gentlemen. 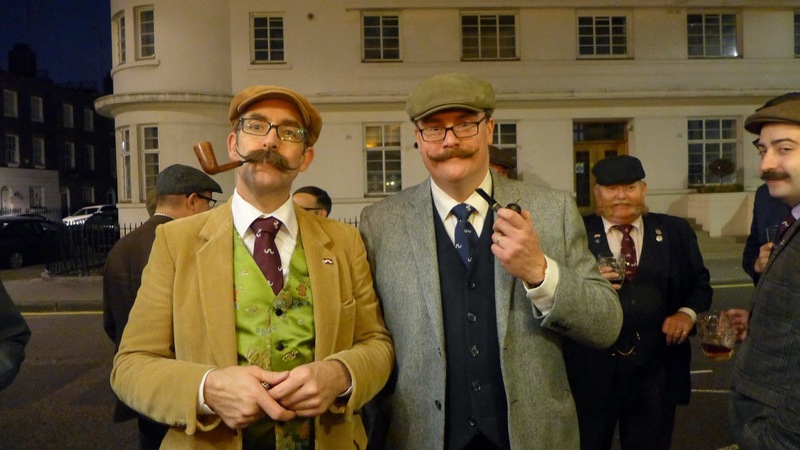 Traditionally, the Club meet on the first Friday of every month. The meeting isn't the kind of dull affair like in the workplace, with some poor sap (sometimes me) taking minutes and going through the agenda. Oh no! 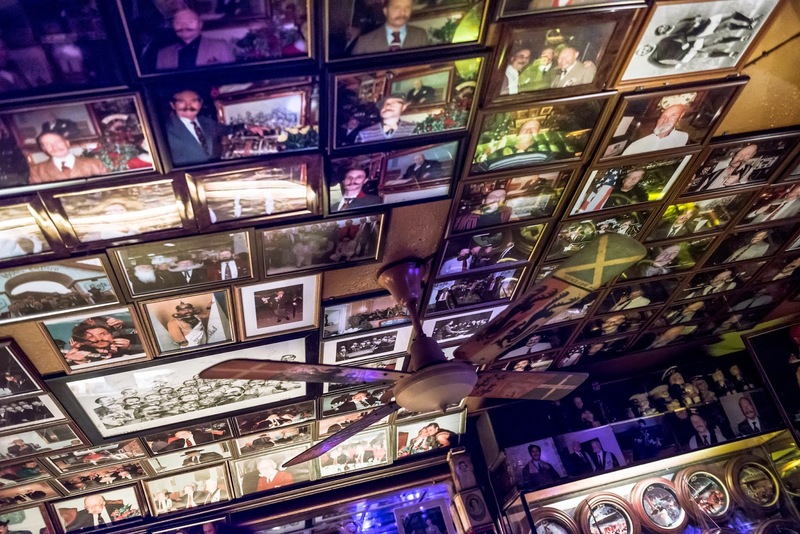 This 'meeting' is merely a night at the local drinking tavern where alcoholic beverages are consumed at an alarming rate. 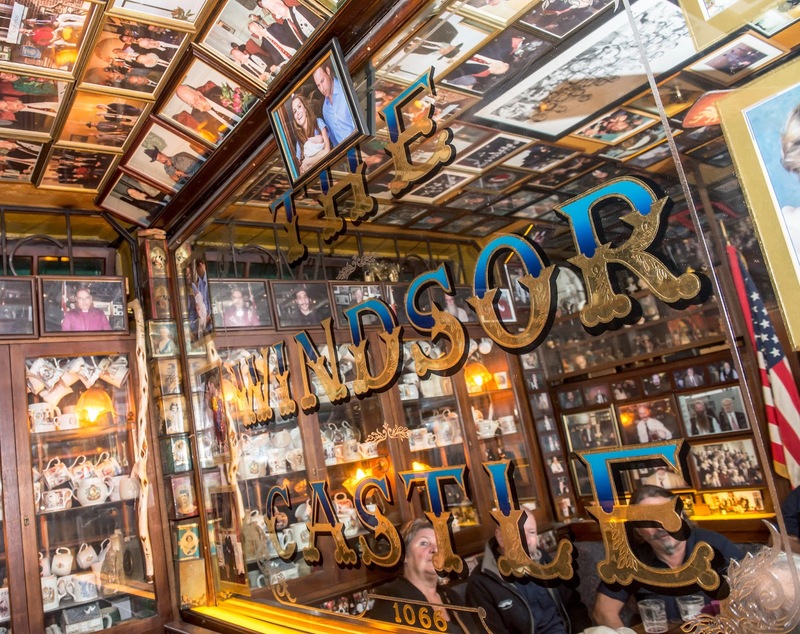 The drinking tavern in question is The Windsor Castle, in Marylebone, London. As I reside in The North, Manchester to be precise, getting to the Club is a little tricky. It's not as if I can just stroll merrily home after a night at the pub. It calls for a hotel and train journeys, which to give Mr. Branson credit for, the ride to London takes a mere two hours and seven minutes (give or take). 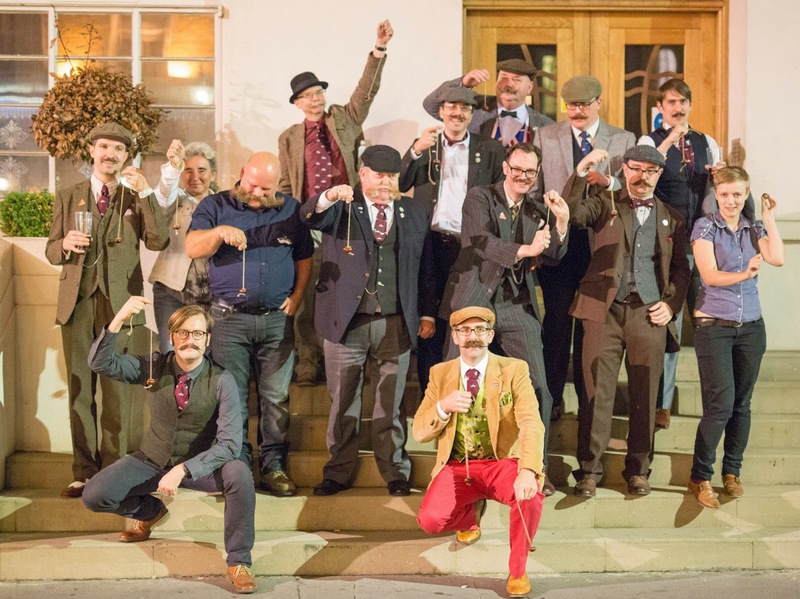 ﻿﻿﻿Anyway, as it had been six months since I had met the chaps at the Club's Annual General Meeting (which did involve an agenda, but a beer-soaked one at that), I made the necessary arrangements to join this merry band of men (and ladies). For the last year or so, a different hat has been worn at each month's get together. 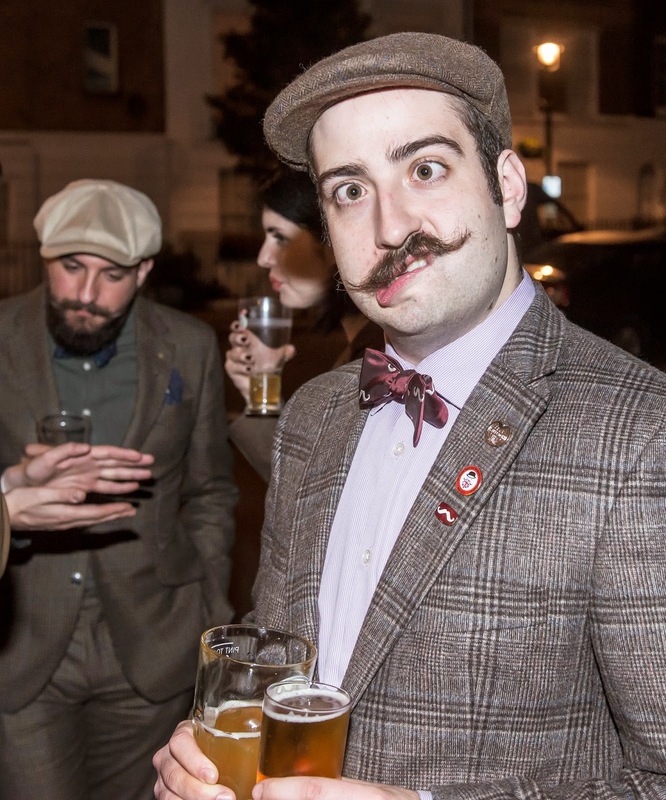 This time, it was the flat cap. 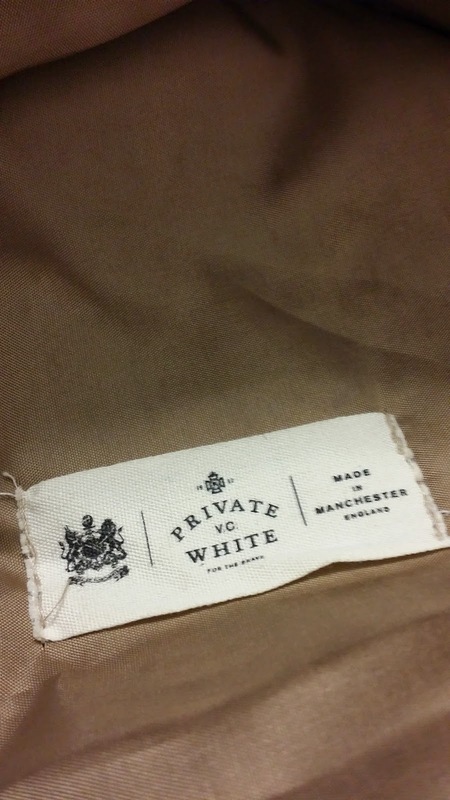 I obtained mine from Private White VC, a Manchester menswear brand. 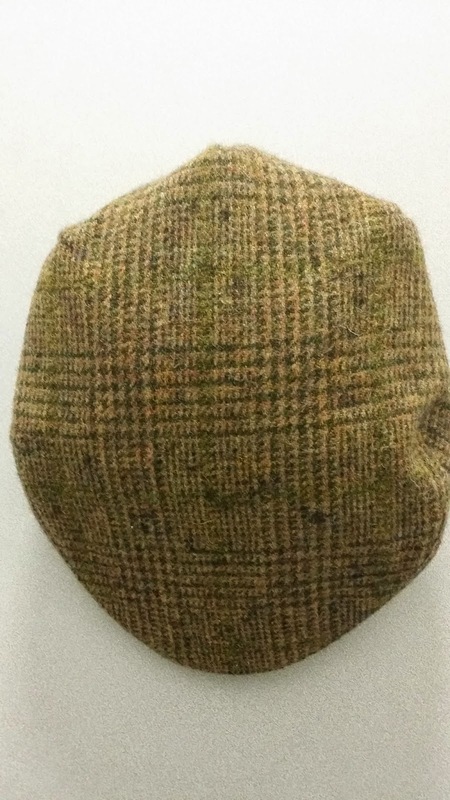 It is made from Lancashire tweed and even has a 'Made in Manchester' label on the inside. ﻿﻿Before the Club frivolity got underway, I had the pleasure of meeting Mr. Aaron Burns, who I know from Twitter and Instagram as Supernoodle76. 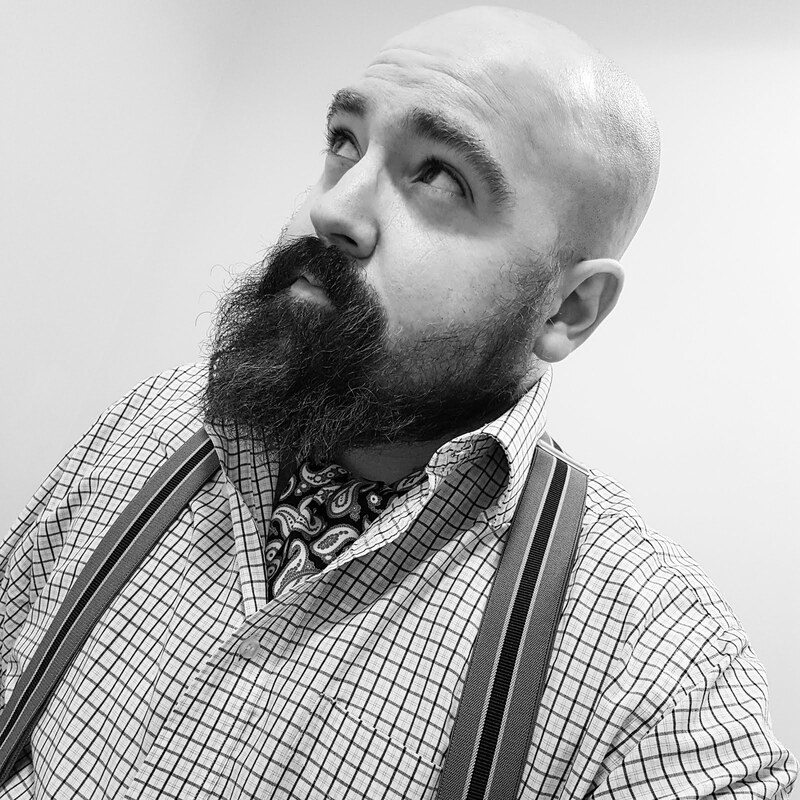 Not only does he have an envious sock collection and a super ability to unearth untold treasure from charity shops, but he also sports rather impressive face furniture. 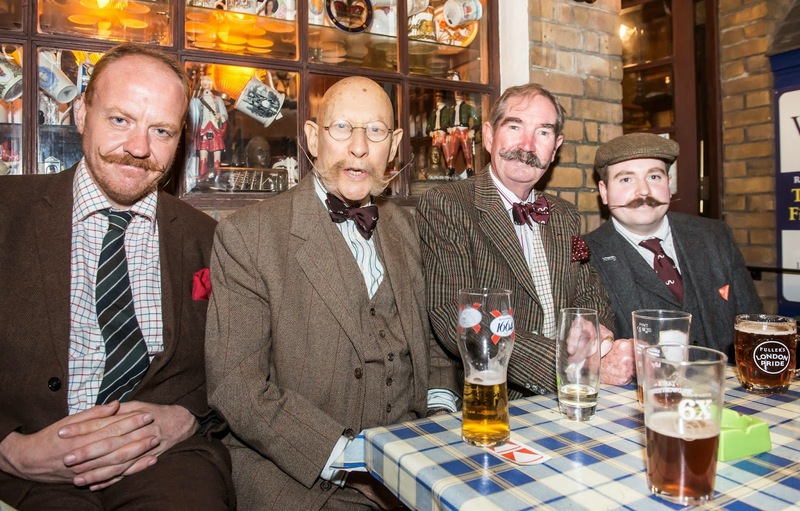 ﻿﻿It was marvellous to meet up and have a chinwag over a couple of froth-laden ales before joining the rest of the hirsute gang. The highlight of the evening was a good old-fashioned game of conkers. We had Mr. Allan Robinson to thank for this traditional autumn treat. He promised us a mystery sporting event beforehand, and thankfully, this wasn't too exerting. Here are a number of the competitors, ready to do battle. One of the strangest moments of the night (and there were a few) was bumping into a photographer chum, Mr. Nick Harrison, also from The North. 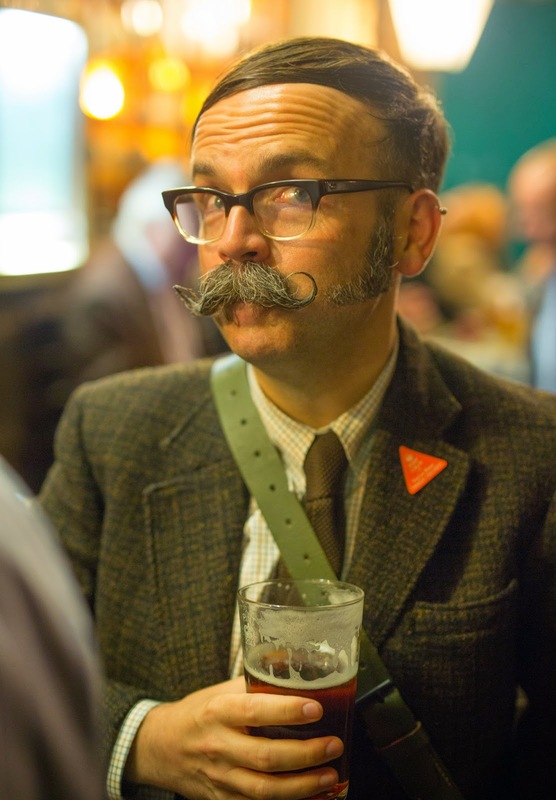 There are so many wonderful characters in The Handlebar Club. 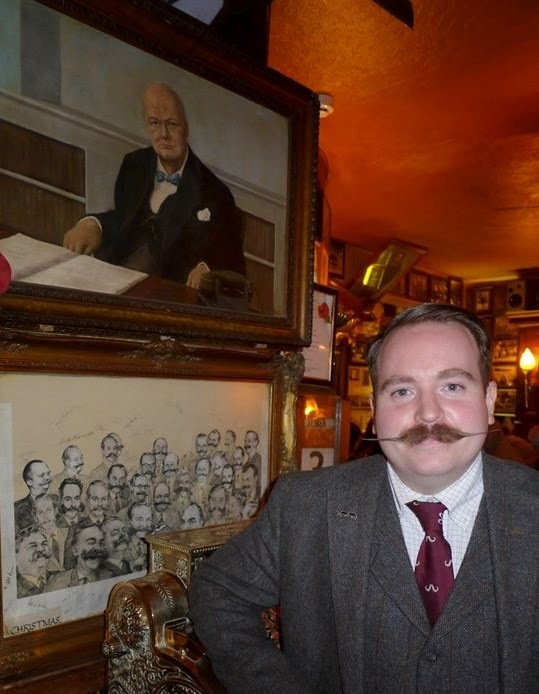 If like my friend Nick, you ever find yourself in London on the first Friday of the month, pop by and say "What-ho!" A warm welcome is guaranteed. Even if you have a bare top lip. Now, some important news. 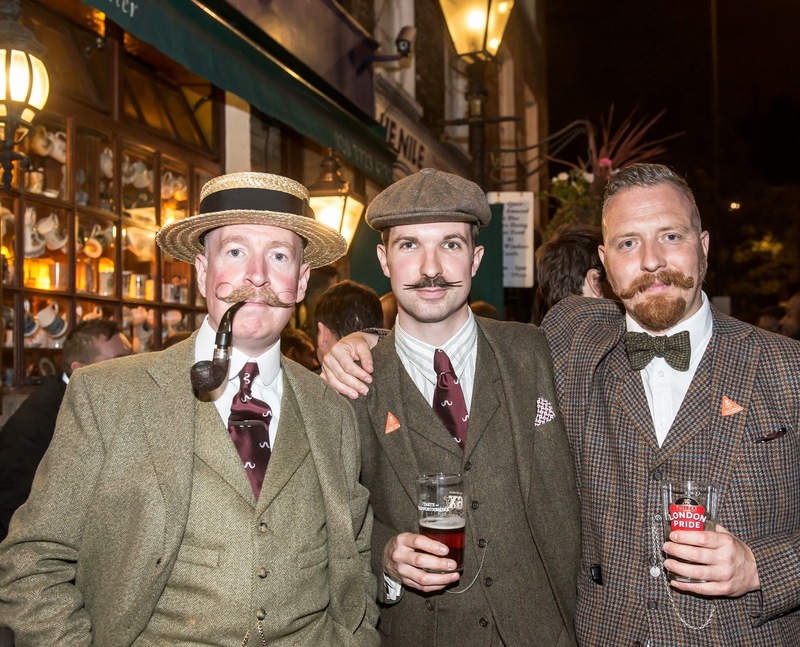 Fancy winning a cravat courtesy of Cravat Club? Enter now! 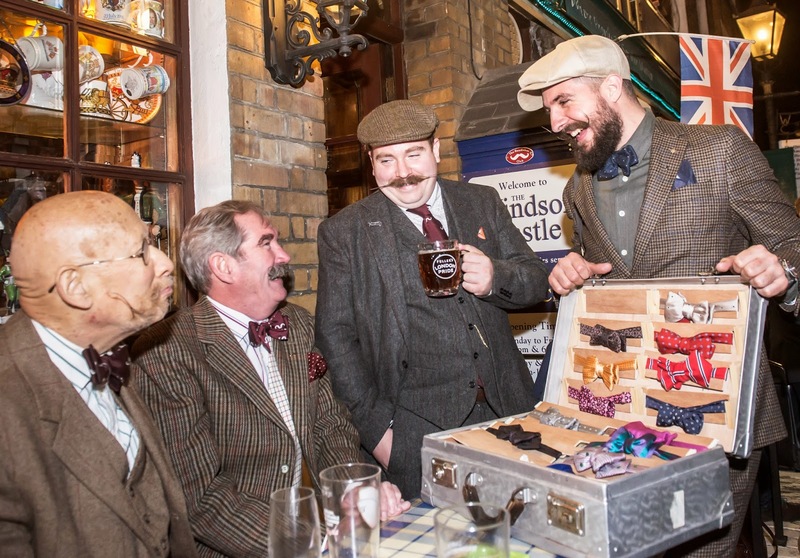 I think every public house should feature a visit from a Travelling Bow Tie Vendor, indeed. How very civilised. 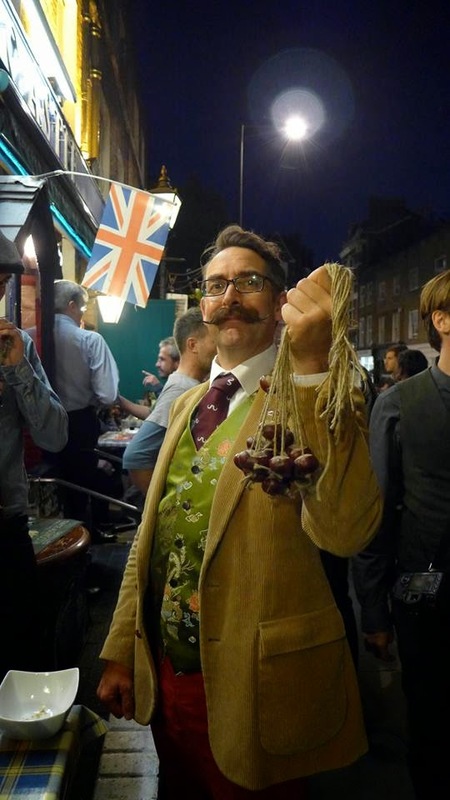 Competition: Win a pocket watch!